Former NBA player-founded Dikembe Mutombo Foundation said in a Saturday statement on Instagram that Matadi Sela Petit, 8, died of a rare genetic reaction due to anesthesia during surgery. "Despite the careful efforts of his medical advisors, Matadi did not recover and died last night," the statement says. The Mutombo Foundation supported Matadi's trip to the United States. He arrived in Los Angeles with his father on December 12, CNN subsidiary KABC reported. <img alt = "Yemeni mother arrives in the US to see her dying son Neck Institute, Dr. Ryan Osborne, performed the operation, the Mutombo Foundation said.
" We are suffering from the loss of Matadi Destroyed and our hearts go to his father, his mother and the rest of his family as well as to all his old and new friends, "said the Foundation. 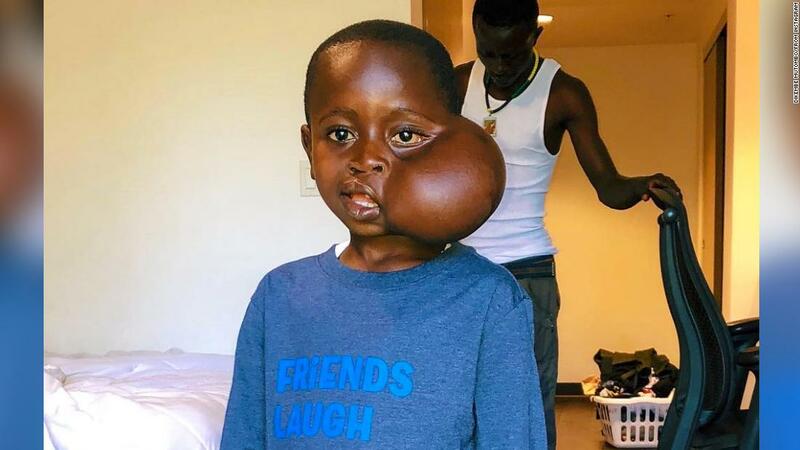 The Foundation added Matadi's memory" will inspire us, the efforts and partnerships According to KABC, Mutombo met Matadi in the Congo, he was treated for a cleft palate repair in the hospital that was built in the country, but there were none Specialists to treat the tumor growing on the left side of the face. Mutombo, who was born in the Congolese capital of Kinshasa, founded his foundation in 1997 with the mission, " improve the health, education and quality of life of the people of the Democratic Republic of the Congo, "the organization states in its website.